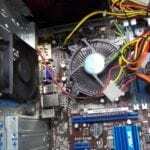 Computer desktop problems can often be fixed as most of the components can be replaced with working parts. 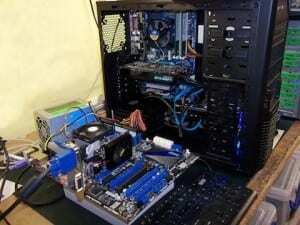 Some computer motherboard issues can be fixed, including BIOS / CMOS chips, USB ports. If the motherboard does need to be replaced then we have a range of motherboards available at varying costs depending on the features and performance required. Power supplies are a common problem with desktop computers, the components used are subject to failure which can cause different symptoms ranging from intermittent crashing or power downs to complete lack of power up, have it replaced with a new unit, our stock here. 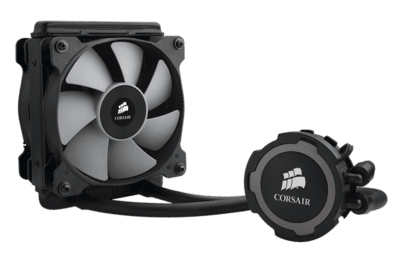 We can replace your Heatsink and Fan with new or go for a liquid cooling system. The computer can be transferred into another new case, see here for our range of cases. 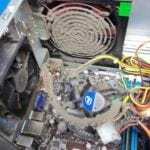 We also clean and blow out every computer in for repair, by a proffesional industrial blower. 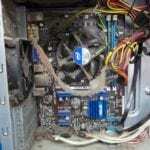 Computer drives can be easily replaced with new models, this is often the most cost effective method rather than repairing them. Hard drive problems can occur quite frequently, particularly if the computer has been banged or dropped whilst turned on as the drive is only manufactured to withstand minimal Gforce. The symptoms may include Windows not loading up properly or software crashes. Data errors may be corrected, but it may also be necessary to install a new drive and either copy data and reinstall Windows. 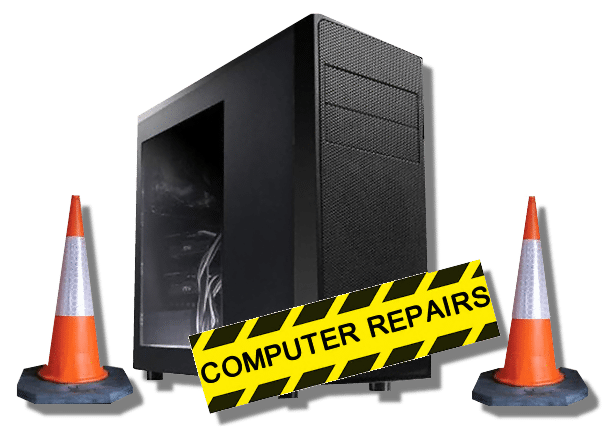 Argon Computing Southend Rochford offer a data recovery service to Southend and Rochford Essex, if your hard drive has failed or has been damaged contact us on 01702 547625.